We can help you raise more money using our experience, analysis, benchmarking and engaging workshops. Fundraising is the fuel that powers your social impact. Without money nothing changes. Fundraising success comes from creating an organisational culture that is proud to fundraise, understanding why people give to you and managing a portfolio of fundraising programs that maximise your return on effort and investment. More Strategic has experience across all fundraising disciplines from Individual Giving Acquisition, Retention and Development to Major and Middle Donor cultivation and stewardship to Bequests and Events and everything inbetween. Our fundraising strategies help you focus your time, energy and investment into the areas that offer you the greatest long term return. We uncover insights, apply evidence and use our experience to develop the right fundraising strategy for your organisation that everyone supports and buys into. We love data! Yes, we are data nerds as well as creative thinkers! Nothing makes us happier than a monster spreadsheet and a set of pivot tables. As well as bespoke analysis we have created beautifully simple (they are horrendously complicated behind the scenes) models for fundraising investment and budget management. To manage growth NFP’s must measure relative performance. 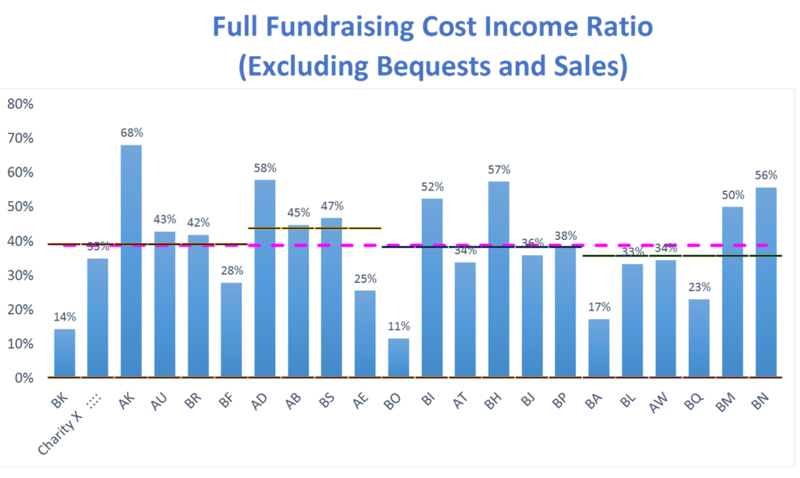 Our Profitability Benchmarking provides in depth comparisons of income, direct costs and salaries across 14 categories of fundraising providing comparative cost income ratio, growth rates, return on investment in staff, fundraising mix and much more – in fact over 300 charts more! Through ideation processes, interactive workshops and establishing a culture of innovation we can help you find new ways to reach new audiences and raise new funds. Events – we understand and love fundraising events. We have managed or reviewed many of Australia’s top events (Relay for Life, Australia’s Biggest Morning Tea, 40 Hour Famine, CEO Sleepout). 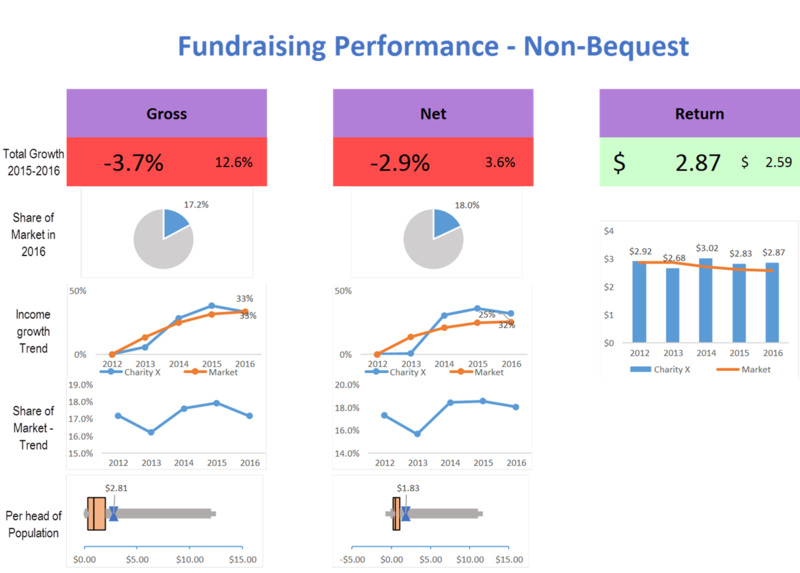 We have researched peer to peer fundraising for 5 years and conducted Australia’s only events benchmarking study. 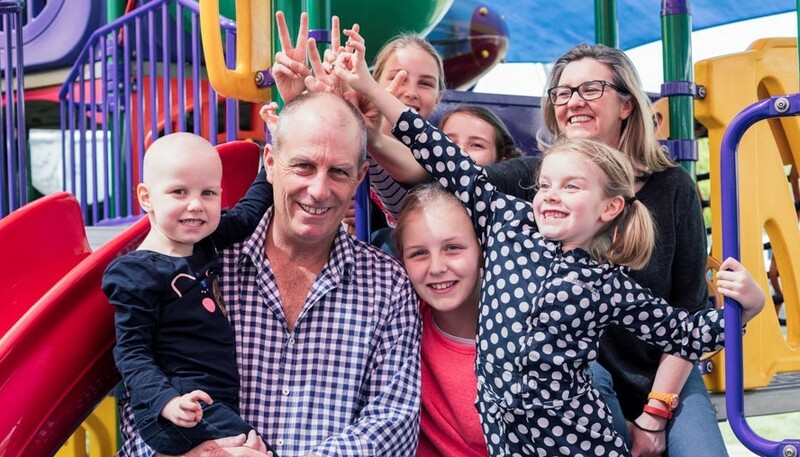 Individual giving – we have helped many organisations successfully make the case for investment in multi channel donor acquisition and retention programs using our powerful More Money Predictor. “We used Martin from More Strategic to review our fundraising portfolio and make recommendations about our future direction. The recommendations made by Martin have now become the basis of our five year plan to diversify and optimise our portfolio of programs. I can’t recommend Martin and More Strategic highly enough”.